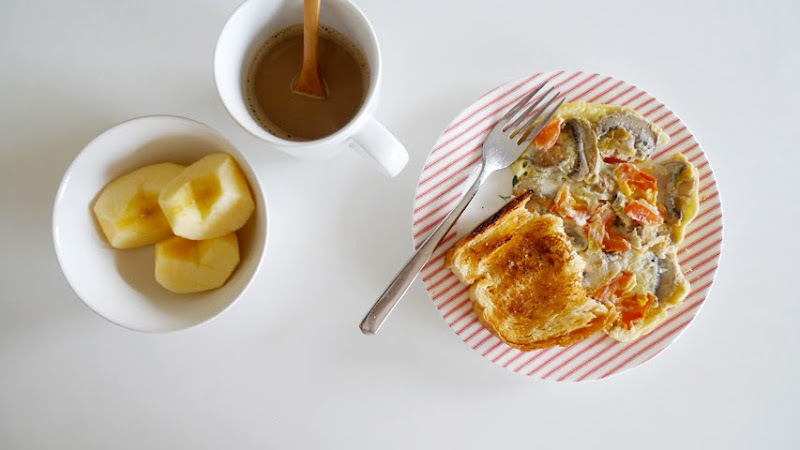 Butter toast, egg with button mushroom & tomato, apple, coffee. Currently thinking seriously of getting a GF1. Anyone wants to take over my LX3?